Dear Rami Al-Sayed, who is a brave photographer and activist, we deeply appreciate your significant pictures which showed Aeham’s unbelievable strength and dedication to the people of Yarmouk, Syria, and Palestine. May your soul rest in peace. It has been a year since the last event“Stand with Syria Now: Film Screening of Return To Homs and Open-Discussion”. A year passed… very, unfortunately, to mention that the Crisis of Syria has escalated even more with over 47 thousand deaths and 4.8 million Syrian-refugees. 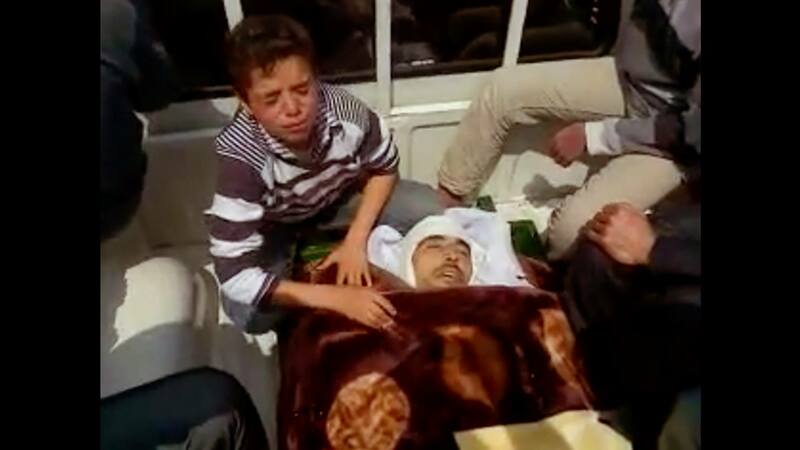 Precious lives are dying at this very moment in Syria. I have been working on this new event-project when I finished organizing the last one. There have always questioned: “Where Syria is heading…?” and “How the lives living in Syria where became a war-zone?”. I have always faced Syria where is only and dearest home for Syrians. Sometimes, I could not sleep well due to the horrifying situation going on Syria. I felt hopeless and powerless to see the fact that no single effective solution has promoted over five years but people are certainly losing their homes, foods, opportunities, and lives. However, I cannot just stand still; I have to keep going ahead to make changes for Syria. Those thoughts brought the upcoming event, “Syria, The Lives living in-between War and Love: Film Screening of “Silvered Water, Syria Self-Portrait” and Panel Talks with Experts” on 23rd December 2016. 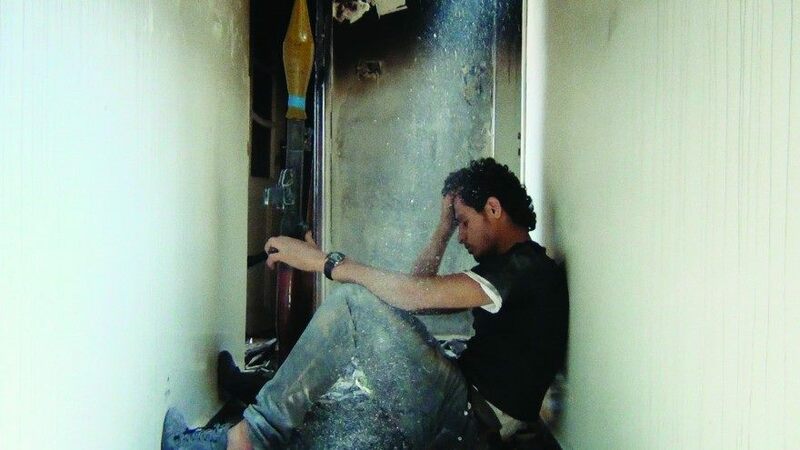 We will be screening a film Silvered Water, Syria Self-Portrait by Ossama Mohammed on the event. 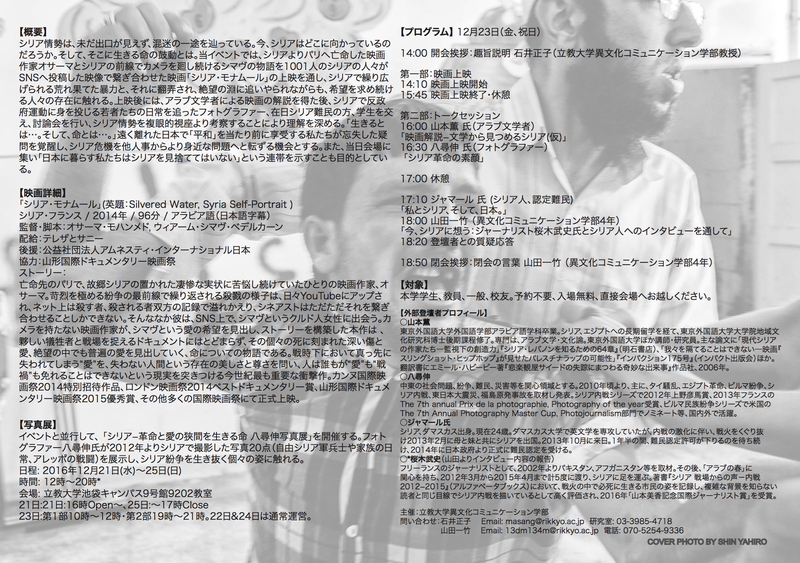 We will also invite professional Arab Literature, Photo-journalist who served with Free Syrian Army and a young Syrian man who became a refugee in Japan. The aim is always the same; to light the actual people who are living under horrific the Crisis of Syria. Let’s show our solidarity for Syria, let’s prove to the world that we are not abandoning people of Syria. 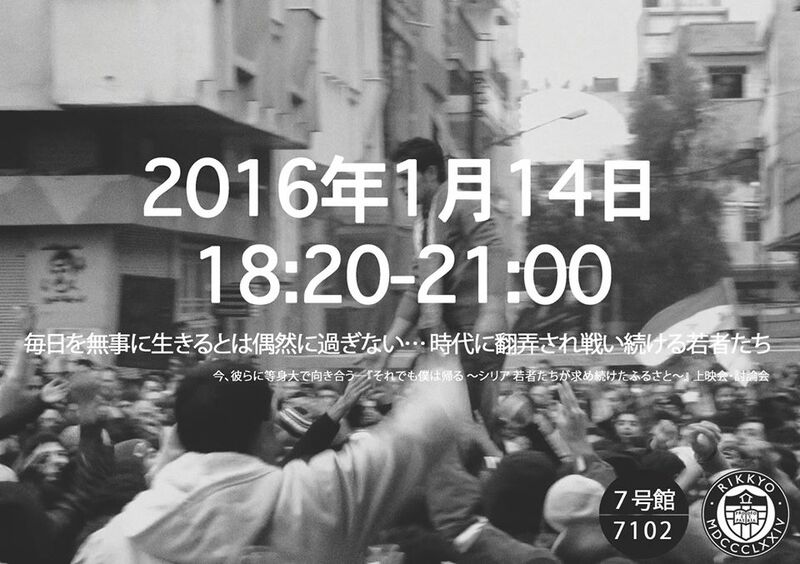 No reservation required, please come to the venue directly! 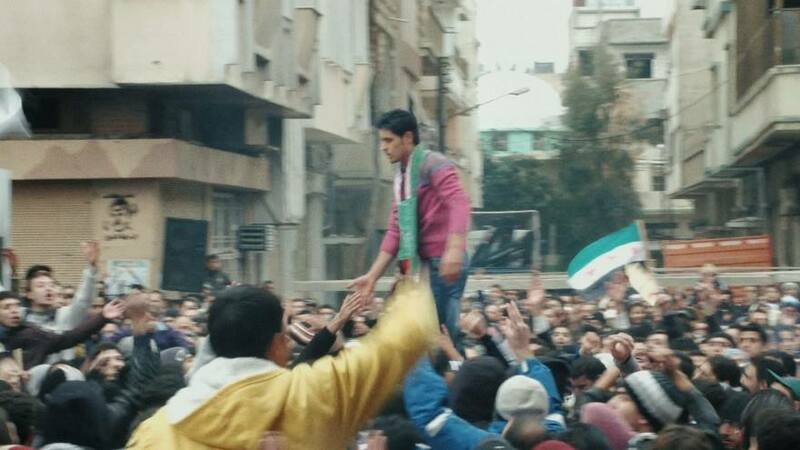 In Syria, every day, activists and people film then die; others kill then film. In Paris, Syrian filmmaker Ossama Mohammed, driven by his inexhaustible love for Syria, he finds that he can only film the sky and edit the footage posted. From within the tension between his estrangement in France and the revolution, an encounter happened. Simav from Homs began to chat with me, asking: ‘If your camera were here, in Homs, what would you be filming?’. At once tragic and miraculous, Silvered Water, Syria Self-Portrait is a shattering portrait of the ordeal being endured by ordinary Syrians, even as its very existence attests to the spirit of possibility that even the most brutal repression cannot crush. The Special Screenings section of the 2014 Cannes Film Festival. Winner of Grierson Award, London Film Festival, 2014. Winner of Gandhi’s Glasses Award – Special Mention, Torino Film Festival, 2014. 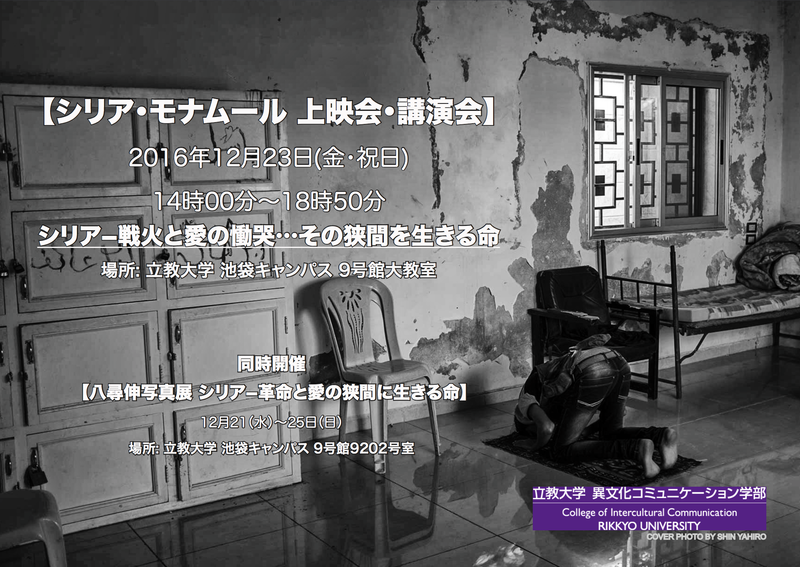 Winner of Prize of Excellence, Yamagata International Documentary Film Festival, 2015. 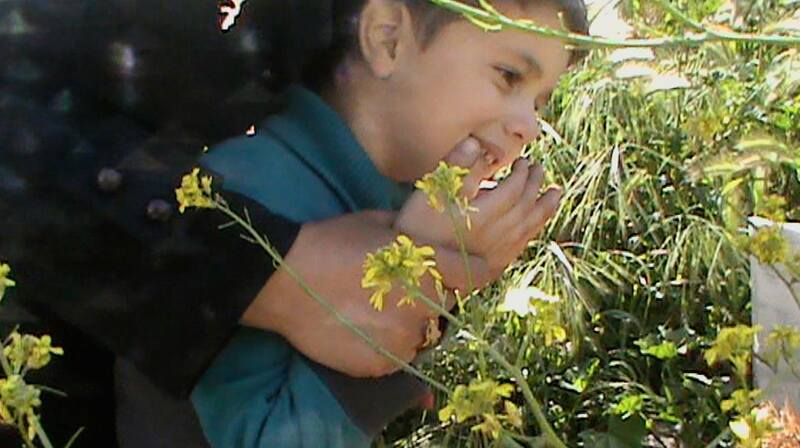 【Photos】21 photographs taken in Syria. Mr. Yahiro has spent time with Free Syrian Army and in revels’ town. As you know, the conflict in Syria has escalated more and more. There is no day we don’t hear about Syria. While the internationalized military intervention as a proxy war has been drawing many people’s attention, the lives living in Syria are not focused enough. Four years have passed, 4 million people are displaced as refugees and 7.6 million people are internally displaced, 200 thousand people lost their lives. We should never forget that each one of them is a human being with dignity, each one of them has precious lives and Syria is a dear home for all of them. Syria is geographically and psychologically far away from Japan. Thus, this cannot be a reason to ignore what is going on people of Syria. What can we do now…? “Stand with Syria” It is the aim of this event, and it is one of the ways to light up their situation; the story of the individuals, not of the numbers. On the day of the event, we are going to invite Syrian film director Mr. Talal Derki who directed the film via Skype and to have an open Q&A session. I believe this will be a rare and exceptional opportunity to deepen our understanding of the situation in Syria from “human-perspective” which we can be shared thoughts and experiences of Mr. Derki who are standing with the youth of Syria from the begging of the Revolution. 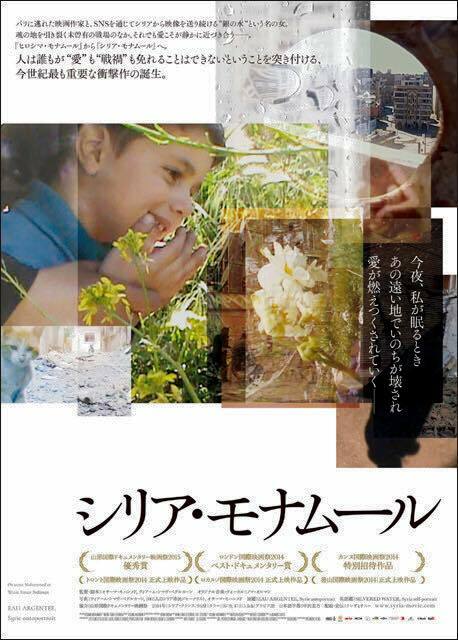 We are looking forward seeing all of you, especially Japanese students since this film amazingly describes the struggles of Syrian youth. 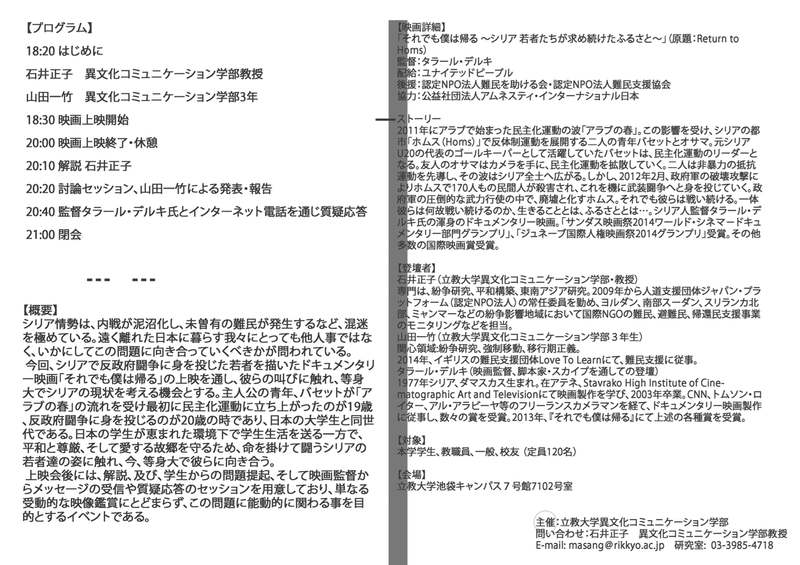 That is why this event will be held at a university. Reservation is not required, please come to the venue below directly. Filmed over three years in Homs, accompanying two outstanding young men Basset and Ossama from the time they were only dreaming of freedom to the time when they are forced to change course. Return To Homs focus the Group’s transformation and struggles, is a heart-stopping, often wrenching study of the brutal war President Bashar al-Assad’s regime has waged against the Syrian people — a battle fought mostly out of camera range that has produced epic heroism and tragedy. Winner of Sundance’s 2014 World Cinema Grand Jury Prize for Documentary.